Clarice Fae Murry, 83, died Thursday afternoon October 4, at Claymont Health & Rehabilitation Center after a period of declining health. She was born in Uhrichsville on September 14, 1935, a daughter of the late Clarence F. and Erma Fae (Tolbert) Devore. She was a 1953 graduate of Freeport High School. Clarice last served as resident manager for Jaycee Villa, after working as bookkeeper and office manager for Appalachian Exploration. She was a member of the First United Methodist Church of Uhrichsville. Clarice devoted her life to her Lord and her family caring lovingly for her husband, son and daughter-in-law, grandsons and her home. She was the loving wife of Robert J. “Bob” Murry, Sr. to whom she was married on October 16, 1954. They enjoyed nearly 44 years of marriage together until his passing on August 10, 1998. Clarice is survived by her son Rob (Sally) Murry of Uhrichsville; grandsons Michael (Holly Bethel) Murry of Uhrichsville and Matthew (Stephanie) Murry of Arkadelphia, Arkansas; and great-granddaughter Ava Murry. Clarice is also survived by her brother Clarence Wayne (Sara) Devore of Orrville and a niece Dee Basiletti of New Philadelphia and a nephew Gerald Devore of Orrville. Funeral services will be conducted Tuesday October 9, at 11:00 AM in Uhrich-Hostettler-English Funeral Home at Uhrichsville with Rev. Shaun Green officiating. Interment will follow in West Union Cemetery at Gilmore. Calling hours will be from 5 to 8 on Monday, October 8 and one hour before the funeral service on Tuesday. 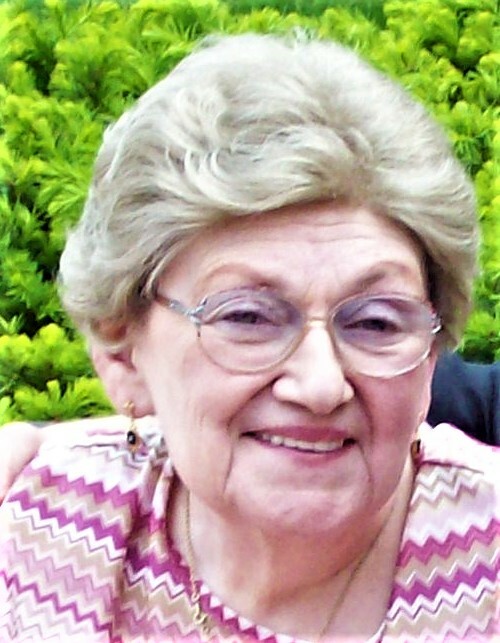 In lieu of flowers, those wishing to honor Clarice’s memory may make contributions to either the First United Methodist Church, Box 426, Uhrichsville, Ohio 44683 or Community Hospice of Tuscarawas County, 716 Commercial Avenue SW., New Philadelphia, Ohio 44663. Clarice’s family are very appreciative of the excellent care she received from the management and staff of Claymont Health and Rehabilitation Center and Community Hospice, especially during the final stages of her Alzheimer’s disease.